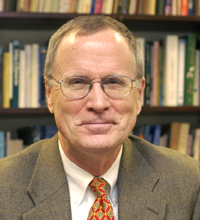 Paul E. Rorem, Princeton Theological Seminary’s Benjamin B. Warfield Professor of Medieval Church History, holds an MDiv from Luther Theological Seminary, an STM from The Lutheran Theological Seminary, and a PhD from Princeton Seminary. An ordained Lutheran minister, he is interested in medieval church history and Pseudo-Dionysius. His courses cover the confessions and influence of St. Augustine, the Christian mystical tradition, medieval Christianity, and the spiritual and theological legacy of the Pseudo-Dionysian writings. He is editor of Lutheran Quarterly and Lutheran Quarterly Books.